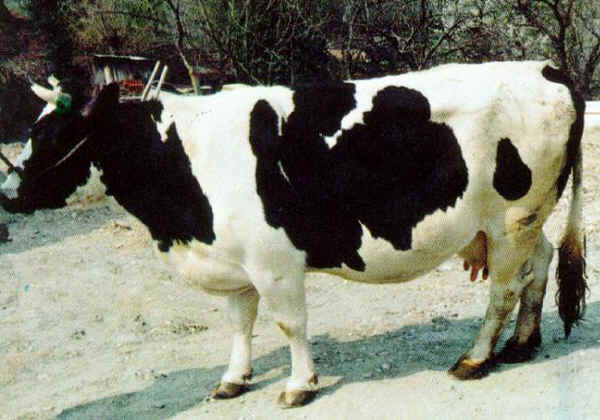 Burlina cattle have a black-pied coat prevailing over the white. White limbs, black head with a star in the forehead. White tail tuft; grey and black wide muzzle. Moderate size and height. They are used for both meat and dairy production breed, mainly dairy though. They are very rustic and are able to exploit poor mountainous pastures.